Alex Smith has been dancing since she was a kid, starting with jazz dance classes in 1988 at the age of nine. For several years, dance was put to one side and then a workshop with Auckland’s Touch Compass in 2007 re-ignited her interest in dance. For the next two years, Alex participated in other dance workshops and then started volunteering with a dance group that grew into WIDance – Wellington Integrated Dance. Alex was born with cerebral palsy. “I’ve used a combination of mobility aids all my life. These days, I mostly use a wheelchair or mobility scooter to get around. 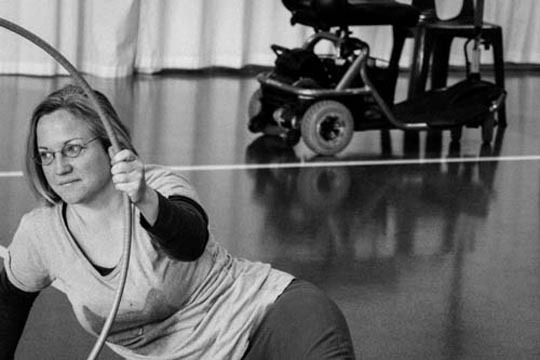 I dance with and without a mobility aid, depending on the activity and what fits the piece or exercise." For the past five years, Alex has been a committee member and support dancer with WIDance, along with Daphne Pilaar, Duncan Armstrong and tutor Sumara Fraser. "I started off in WIDance as a volunteer and then got involved in the group as a support dancer and committee member. As a support dancer, my role is to help out in the general running of the class, and to provide extra support for those who need it. "As a dancer, I enjoy the inclusiveness of WIDance. There's a great sense of freedom to dance and move." A wide mix of people comes along to WIDance. “It's interesting to see how people who come regularly develop over time." As a WIDance committee member, Alex helps out with administration tasks, researching funding options and writing grant applications. An avid reader, she loves writing as an emotional outlet. 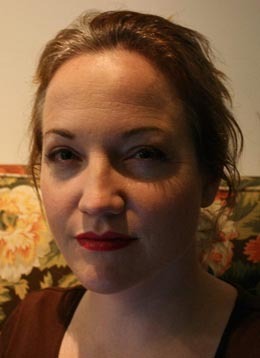 She started writing prose and poetry in a big way when she was a teenager. However, she hopes to publish some of her poetry and other writing in the future. One of her dance highlights was when WIDance received a standing ovation for its first major performance in 2013. This was at Te Papa Marae on World Disability Day, 3 December. A recent accomplishment was being accepted to attend Touch Compass' Summer School 2015. It was a week-long intensive workshop with dancers from New Zealand and Australia. 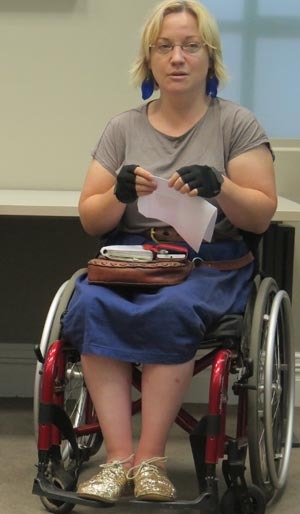 Alex is also a member of Arts for All Wellington network, facilitated by Arts Access Aotearoa. “I don't have an active role at the moment but I attend workshops to keep connected with the sector. "One of my big things now is access to live music and theatre events. Because of my interest in the arts, I’m keen to discuss this with others. I think that access has become better to live music events over the years, especially bigger shows. “The companion card is a great idea, and I think this would make a big difference to access to music and theatre events for people with an impairment." In 2012, Alex graduated with a Master of Arts in Education from Otago University. She has worked in policy in education, community development and promoting inclusion in the arts. She says it's important to be inclusive so everybody has an opportunity to gain a meaningful qualification from their learning. "I'd like to look at how theory is assessed in the education qualifications system, especially in performing arts programmes. "Somebody with a cognitive, intellectual impairment or learning disability could do the performance part of the course such as dancing or singing, but they may not be able to access the theory part of the qualification. "It's changing the structure so that it's fair for everyone. If someone learns in a visual way, for instance, it's about finding an approach to assessment and learning that works for them." Coming up for WIDance is a performance at International Dance Day in May 2015. And then in July, it will also celebrate its five years with a public performance. Read WIDance's profile for more informatino abotu its classes. Or contact Sumara Fraser (T: 04 905 3143 E: sumara@paradise.net.nz). Original generation time 1.2919 seconds. Cache Loaded in: 0.0484 seconds.